Take a path through the forest of imagination into mysterious journeys filled with mayhem and a kaleidoscope of magical creatures. … So come and explore! Check out Plinko, official The Ten Penners mascot, on their website under Media Kit. The Plinko-Colouring-In-Competition-2017_Booklaunch has closed. SPECIAL ANNOUNCEMENT – BOOK GIVEAWAY COMPETITION CLOSED! 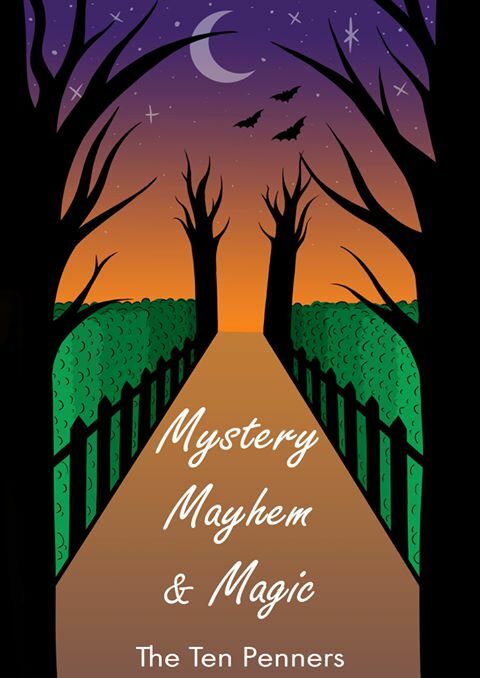 There will be a giveaway of a copy of Mystery, Mayhem & Magic! At the end of the blog tour, those who have left a comment on this page, or on any of the other hosts’ pages during the blog tour, will be in the running to receive a free copy! The announcement of the winner will be at our book launch at Broadbeach Library on Saturday 4 November 2017. So, please make a comment below to be in the running. Julie Baythorpe was born in Sydney and moved to Brisbane where she attended Brisbane Central State School. She loved every minute of school life so much so she never left the education system. In 1985 she moved to the Gold Coast. Julie has written all her life. For many years, she taught creative writing, both as a Teacher and Principal in classrooms across Queensland. When she retired from teaching she started writing full-time. She has written and published numerous short stories, poems, journal articles and has developed many Curriculum documents for Education Queensland. She is currently organising and presenting writing workshops for the Gold Coast Writers’ Association. Her books include the Reid Devron murder mystery series and several short story anthologies. Julie also enjoys creating watercolour paintings … when she’s not writing! Q1. When did you start writing? A. I started when I was very young … five or six years old. I loved it. I had a vivid imagination (still have) which transported me to mystical and magical places. As I grew older I began writing poems and stories for the children I taught in primary school. I also wrote strategic documents … curriculum documents, behaviour management programs and planning outlines for Education Queensland. I started writing fiction full-time when I retired from teaching. Q2. Which genres do you enjoy writing? A. I enjoy writing in most genres, however, I feel most comfortable writing novels in the murder mystery category. As a member of The Ten Penners writing group, I’ve dabbled in short story writing for children again. It’s been a while since I did this, however, I enjoyed creating the character ‘Plinko’ and I loved the adventures of Jock, Davo and Birch in ‘Birch the Dinosaur and the Bogan Penguins’. A lot of fun! Q3. Have you published any books? A. Yes, I’ve published three books in the Reid Devron murder mystery series. ‘The Lavender Principal’, ‘Silo Deadfall’, and ‘Under the Fig Tree’, all set in schools where I’ve worked. In collaboration with the Southern Short Story Group (another sub-group of Gold Coast Writers’ Association) I wrote a number of fictional short stories. The title of that book is ‘Love, Lies, Laughter and a Few Little Tears’. Q4. Have you won any writing competitions? A. Only one … when I was about nine years old. They asked me to read it to the whole school. I’ve been traumatised ever since! But it didn’t stop my love of writing! Q5. Do you have a plan/schedule for your writing? A. Early in the morning is a great time for my writing sessions. I fade by the afternoon. I usually collect ideas in my head and jot down notes … Firstly, in a scribbled, illegible mess. To tidy my ramblings, I develop a timeline for two or three pages then add chapters and scenes. For example, Chapter One … a body is found, police arrive, description of setting and some characters. In a rough outline, I write down scenes in each chapter. I use a scrapbook for pictures and details of my characters. Lastly, I organise a folder for research, the book cover ideas, similes/metaphors, poems, and editing notes and pages. Then it gets cracking! Many thanks, Julie, for your time and inspiration. Don’t forget! Post a comment below (or on any one of the blog tour sites) to be in the running for a giveaway copy of The Ten Penners new anthology Mystery, Mayhem & Magic! IMPORTANT: THE BOOK GIVEAWAY COMPETITION HAS CLOSED. Plinko dropped in for the book launch! Wow Gretchen, I had to scroll and scroll to find a place to comment and deservedly so. This is a great post, I enjoyed hearing about Julue’s process and I love your clean, attractive blog. Thank you very much, Artelle, glad you like it. I had fun working with The Ten Penners material. My WP Theme takes a bit of juggling at times but usually does what I want 😉 Enjoy the rest of the blog tour! Wow! Thanks everyone for the uplifting comments! Have a great day! Thanks, Julie! The blog tour that keeps on giving, each day unfolds something new! What a great post, Gretchen! 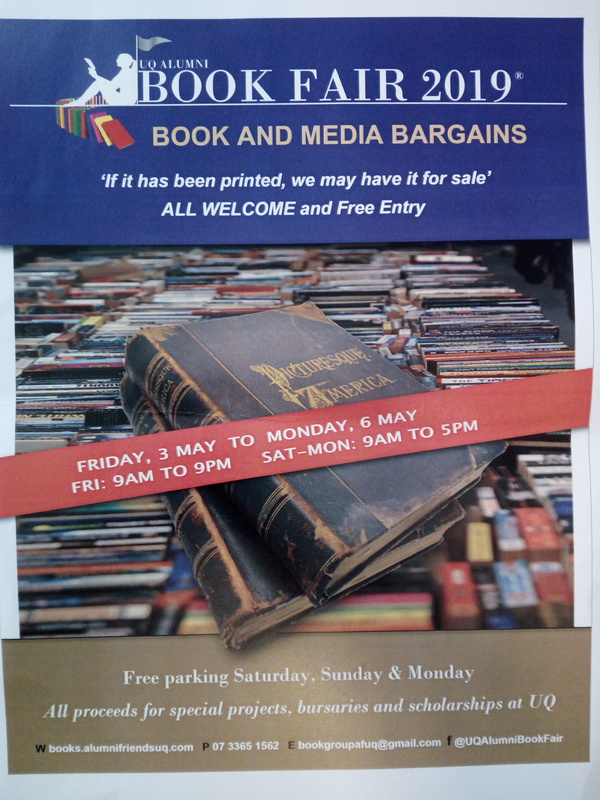 We might have to get you to do all our publicity… LOL. Oh, thank you so much, Kate. I had a lot of fun doing it. I do have past experience but my blog is something new. The Ten Penners blog tour has given me a great boost of enthusiasm. Happy writing! Thank you, Alexioufamily. Julie Baythorpe has a lot of literary and artistic talent, I love her paintings! Hope you will colour-in Plinko. He’s such a happy chappy! So interesting to read about an author’s process. Congratulations on this great local initiative! Thank you! Please come along to the book launch at Broadbeach Library on Saturday 4 November and say hello to The Ten Penners. So interesting to read about an author’s process. And what a great local initiative! Congratulations to all involved. Thank you! It has been a great joint effort. I found it a rewarding experience and I am sure there will be many happy young Mystery Mayhem & Magic readers out there. Thank you, Julie, it was my pleasure! I enjoyed reading about your career and achievements. And I love Plinko. All the best, Gretchen. It is fun following the blog tour! I am glad you and Julie like dinosaurs. Plinko is my favourite and I hope you enter our colour-in competition. Keep reading! My thanks, Mary. A lot happening for The Ten Penners, such an exciting event to be involved in ~ stay tuned! Thanks so much for being a blog tour host. This interview is great! It is a wonderful experience, Jill, and I am enjoying every minute! It is great reading about such talented children’s authors and who wouldn’t love Plinko! Cheers, Gretchen. Thank you, Marion. Such a fun and informative blog tour! Looking forward to the book launch, too.